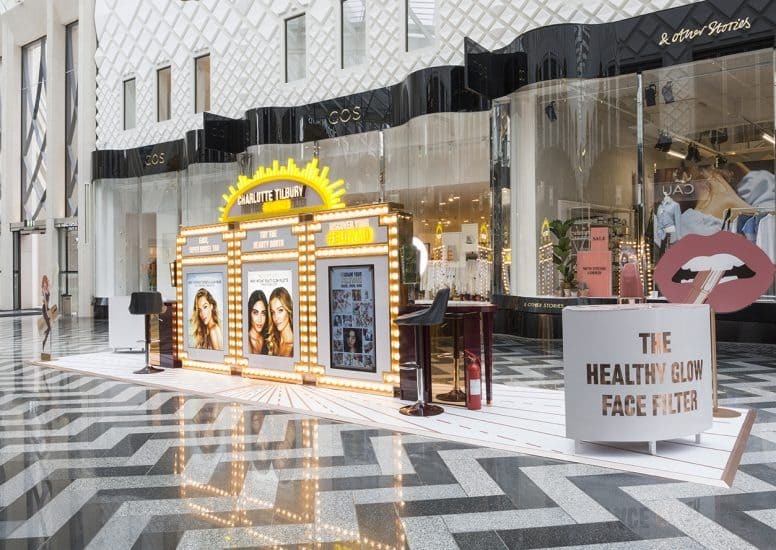 Charlotte Tilbury brings the travelling #GLOWMO pop up shop to a close in Leeds! Known not only for her well-loved cosmetic products, but also her huge success as a make-up artist, Charlotte Tilbury has become a statement in all make-up bags. This pop-up was not only an extension of this brand awareness but a creative promotion of the #GLOWMO product range - a project that D4R were very excited to reveal! Ending it’s travels at Victoria Gate Shopping Centre, the pop-up offered Leeds shoppers a week-long glimpse of Tilbury glamour! Whilst the dimensions of this pop-up space may have changed from previous locations, the glamorous vibe is as strong as ever. Filled to the brim with statement lighting, oversized cosmetics and an opulent rose gold palette - elements which have quickly become synonymous with the brand and its retail adventures. 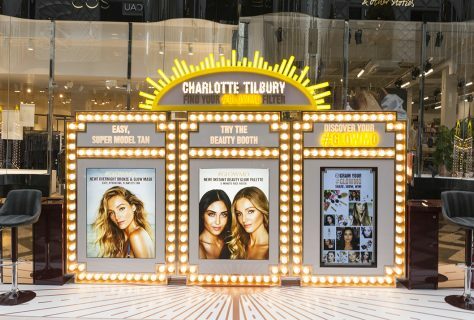 This pop-up combined the glamour of the Charlotte Tilbury brand, the shareable hashtag and selfie trend! 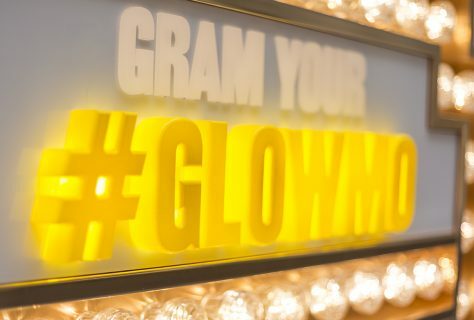 After trying out the #GLOWMO products, visitors could stand in front of the dedicated 'selfie light' to take the perfect, social media ready photographs. Shared on SM channels with the #GLOWMO hashtag, the pictures would appear on the oversized rose gold iphone. And if taking selfies wasn't for everything, the playful oversized products offered social media moments of their own! 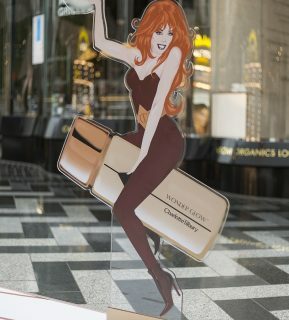 We've discussed the power of interactivity and social media sharing in previous retail trend posts, a trend which Charlotte Tilbury certainly took on board.